Sunweb's Cees Bol has been the fastest man at the final sprint of the Danilith Nokere Koerse. The riders crossed the finish line ahead of Pascal Ackermann and Jasper Philipsen in a crash-marred final. The Belgian race was 195.6 kilometres long between Deinzem and Kruisem and featured several cobblestone sectors and climbs of the Nokereberg. The race started with an escape of five riders that included Mattia Viel (Androni-Giocatolli), Yoann Offredo (Wanty-Gobert) and Axel Journiaux (Direct Energie). The front group built a gap of more than seven minutes with the peloton. 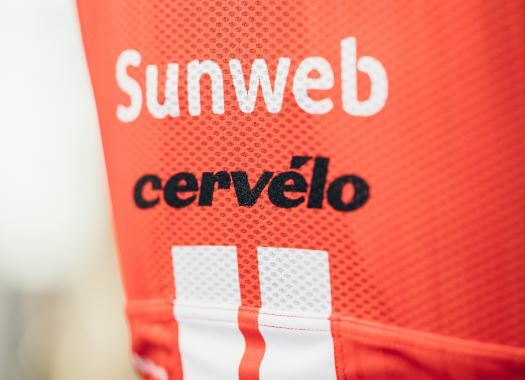 Teams like UAE Team Emirates, Cofidis, Deceuninck-Quick-Step and Bora-hansgrohe took the lead of the pack and the speed caused trouble in the back, where riders like Jai Hindley (Sunweb), Brian van Goethem (Lotto-Soudal) and Jenthe Biermans (Katusha-Alpecin) suffered crashes. The escapees were caught just past the 25-kilometre mark and the teams with sprinters took control of the speed in the pack. Riders like Remco Evenepoel (Deceuninck-Quick-Step) and Mathieu van der Poel (Corendon-Circus) were at the front and their speed caused troubles in the peloton and crashes, being one of the victims Cofidis' Nacer Bouhanni. Roompot-Charles' Lars Boom tried to escape in the last moments of the race but was soon caught by the pack. In the last kilometre, there was a heavy crash at the foot of the Nokereberg which affected mainly Mathieu van der Poel, Max Walscheid and Jonas Koch. In front, Bora-hansgrohe's Pascal Ackermann was the first rider to launch the final sprint, but he was caught by Sunweb's Cees Bol, who crossed the line in the first position ahead of the German champion and UAE Team Emirates' Jasper Philipsen. Roompot-Charles' Boy van Poppel and Cofidis' Hugo Hofstetter completed the top five of the day.